Carbon fiber and smoked polycarbonate weight bearing cover. 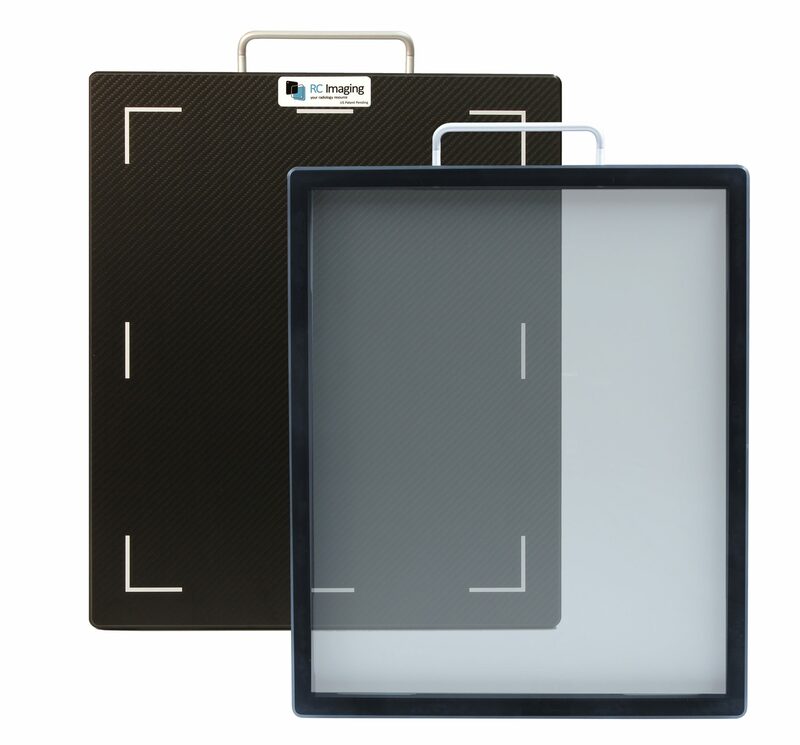 RC Imaging’s new Weight Bearing Protective Cover has been designed to accommodate Digital DR Panels and CR Cassettes. Their covers are strong yet lightweight, offering a high degree of protection during weight bearing procedures. It is constructed of a high-density polyethylene frame and a carbon fiber top, offering protection up to 1300 lbs. The easy lift handle makes removal and carrying a breeze. The Weight Bearing Cover has been tested by an accredited independent laboratory. Rated up to 1300 lbs.